Last weekend, Disney unveiled the first trailer for Pirates of the Caribbean: Dead Men Tell No Tales, which was met with an enthusiastic response from fans. 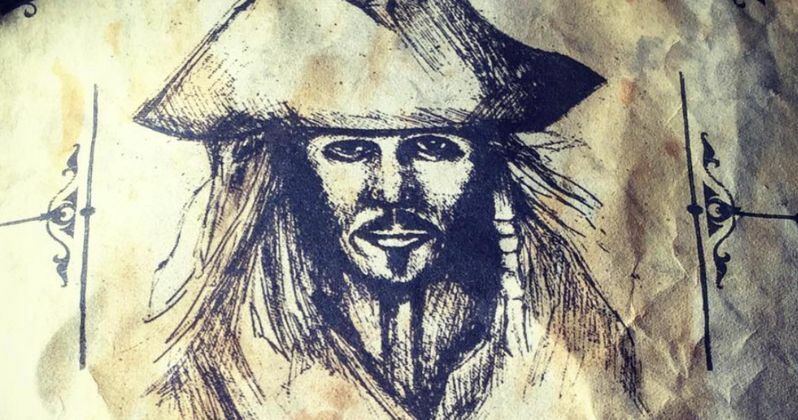 To thank the millions who watched the trailer, director Joachim Ronning shared a special treat with his followers, a wanted poster featuring Jack Sparrow (Johnny Depp) from Pirates of the Caribbean 5. While there was a wanted poster shown in the first trailer, the director showed off a different design through social media. The director took to Instagram yesterday to share this poster, which features an artistic rendition of Jack Sparrow's face. The poster shown in the trailer was quite similar, but it showed Jack's fully body, with a sword in hand, as he stood on a dock. This new poster describes Jack as a "notorious pirate," and while there is a bounty on his head, we can't see the amount the bounty is for. Here's what Joachim Ronning had to say to his Instagram followers. A big thanks to the millions of you out there that have watched our new teaser trailer for Pirates of the Caribbean: Dead Men Tell No Tales! I'm so grateful for your enthusiasm and comments. The last couple of days have really reminded me why I love movies - and why I wanted to make this one ❤️☠️ (link in bio) #potc5 #teaser #trailer #moretocome." Thrust into an all-new adventure, a down-on-his-luck Captain Jack Sparrow finds the winds of ill-fortune blowing even more strongly when deadly ghost pirates led by his old nemesis, the terrifying Captain Salazar (Javier Bardem), escape from the Devil's Triangle, determined to kill every pirate at sea...including him. Captain Jack's only hope of survival lies in seeking out the legendary Trident of Poseidon, a powerful artifact that bestows upon its possessor total control over the seas. Aside from Johnny Depp and Javier Bardem, the cast for Pirates of the Caribbean: Dead Men Tell No Tales includes Kaya Scodelario, Orlando Bloom, Brenton Thwaites, Martin Klebba, Geoffrey Rush, Kevin McNally, Stephen Graham, Golshifteh Farahani. Joachim Ronning and Espen Sandberg are directing from a script by Jeff Nathanson, with Disney setting a May 26, 2017 release date, going up against Sony's thriller Life. Take a look at this new wanted poster below for Pirates of the Caribbean: Dead Men Tell No Tales. Can Baywatch Beat Pirates 5 at the Memorial Day Box Office?